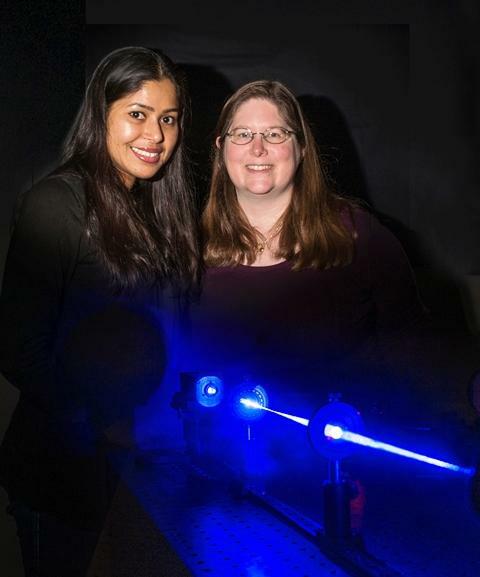 MSU physicist Lisa Lapidus (right) and graduate student Srabasti Acharya are part of a team researching the effects of laser radiation on a specific protein molecule. The molecule CLR-01 shows promise as a viable drug in the treatment of neurodegenerative diseases such as Parkinson's, Alzheimer's, Huntington's and ALS. Neurodegenerative disorders such as Parkinson’s and Alzheimer’s cost the U-S billions of dollars each year. Last year, a study supported by the National Institutes of Health found that in 2010, the cost of treating Alzheimer’s alone neared $215-billion. These devastating illnesses also take a huge emotional toll on both the victims and their loved ones. 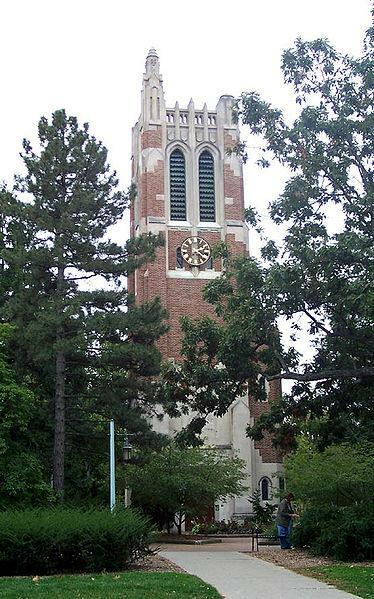 Current State’s Kevin Lavery reports that a team at Michigan State University is studying a protein molecule that it feels may become a new drug in the fight against degenerative diseases. They say they’re ready to make the leap to clinical trials. Today on Current State: Michigan's Affordable Care Act enrollment numbers; the leader of MSU's Office for International Students and Scholars is retiring; area school millage elections; and fighting degenerative diseases. Late last week, the latest numbers for Michigan were released for the Affordable Care Act’s first open enrollment period, which ended on March 31st. It turns out more than 272,000 people signed up for one of the plans available on the healthcare.gov website. Of those, 29 percent were from the coveted 18-34 age group and 87 percent were eligible for financial assistance. The process of moving to another country for studies is daunting. There’s paperwork to be filed, cultural adjustments and lots of questions. At MSU, the Office for International Students and Scholars (OISS) helps international students navigate school in the U.S. For over a decade Peter Briggs has served as the Director of OISS. Briggs is retiring this fall. Voters will make important school funding decisions tomorrow in Lansing and a number of other mid-Michigan districts. 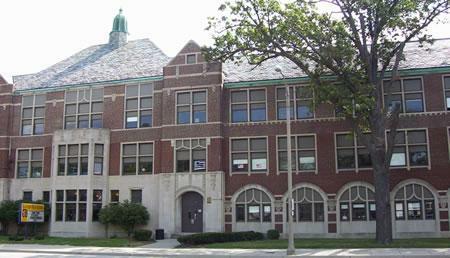 Those include Grand Ledge, Eaton Rapids, Williamston and others.